We are firm believers in the use of ‘I AM’ statements. An ‘I AM’ statement is the positive affirmation of your goals. When you are deciding where you want to take your business, we always begin at that same fork in the road where Alice found herself. This means that you are taken through a long process to determine where you want to end up during our time working together. One of our longest standing I AM statements is “I AM working with non-profits to build a better world.” We believe that like us, you as a business owner have a responsibility to support at least one nonprofit in their community. We feel that the spirituality that comes with helping others and giving back, keeps us and you in a better frame of mind when you are doing your regular business. One of our favorite non-profits, that Sharyn has been on the board of directors for 20 years, is the International Child Advocacy Network, www.YesICan.org. Let’s all Be Good Humans! As a young girl, I watched my grandparents build a thriving crystal import/export business together and thought that it would be super awesome to have a life partner that I could build a business with, too. Interestingly, life didn’t turn out that way at first. I had grown up hearing that I should do what I love. At first, that was teaching. After exploring different types of teaching, I spent five years working with severely emotionally disturbed children in K-12th grades. Yup, only five years and what I loved to do turned into a nightmare. And there was no way my life partner could work with me in this field anyway! In re-evaluating, my next most favorite thing was math. I was the kid that finished my homework early and skipped ahead to see what was next. Before I knew it, I had finished my 8th grade math book before the end of the first semester! So I took my love of math and tried accounting. I accepted a job as an Assistant Controller at an independent film distribution house and grew in that job to Executive Assistant to the CFO. That led me to become the Human Resources Manager for an independent producer. I moved into the same job at a financial services firm and finally became the HR Director for a 2D-to-3D film conversion studio. It seemed like a logical progression at the time. When I was injured at my last job, and summarily laid off because of it, I gradually took over new responsibilities at Promotionally Minded. Over a lunch meeting with one of our clients, she mentioned that she would be looking for an Office Manager. I asked her to keep me in mind when she was ready and maybe we would be a match. And we were! We started a new division of Promotionally Minded that included HR Consulting and Online Business Management. Over the course of the next several years, Promotionally Minded became my professional focus and I learned more about building and growing a business, how clients market themselves and the delicate dance of working with my husband. I also grew to realize that during those 15 years in Human Resources, I was already handling two core marketing issues: Internal Marketing, the company marketing itself to its employees and External Marketing, the company marketing itself to attract the best potential employees. And now, as more of our clients are also couples and entrepreneurs, I realize that I truly have come full circle; I’m working with my life partner building a business I love, not just creating strategic marketing plans but also teaching what we have learned about business building and interpersonal relations. For the past 30+ years, I have been working with businesses on their marketing. I started out as a sales person and then Sales Manager for my college newspaper. I held intern positions with the San Diego Union Tribune and the New Homes division of Coldwell Banker. After college, I worked for a direct mail company for three years and became a President’s Club member. When that company bought their biggest competitor, everyone in my division had their territory cut in half. That was the first time I came up against “Big Picture” corporate culture. Rather than have my income cut in half, I joined a national promotional products company and repeated the process of becoming a President’s Club member. There I set sales records for first-year sales and played a big part in the company reaching a million dollars in sales. In time, I was promoted to Sales Manager and began training my team to do what I had done. It was fun! Corporate culture reared its ugly head again when my ascent up the company was blocked by the son of the owner being hired as the VP of Sales. That was how Promotionally Minded was born. It was time to call my own shots and become a small business owner in charge of his own destiny. While we started with promotional products, the name was designed from day one to accommodate a full range of marketing services. In the last seven years, it has blossomed fully into its original purpose. We even created a marketing plan system and called it OurMarketingGuy.com with me as the targeted marketing tactician for a variety of businesses. Of course, when Sharyn joined the company, using the term Our Marketing Guy was no longer accurate so we made the change to Yuloff Creative Marketing Solutions, which reflects our updated branding. Rather than focus on one particular marketing tactic, we work with our clients to identify and target their ideal clients – the people THEY wanted to help the most – and then find the exact right marketing tools to attract those clients. It has been a lot of fun. 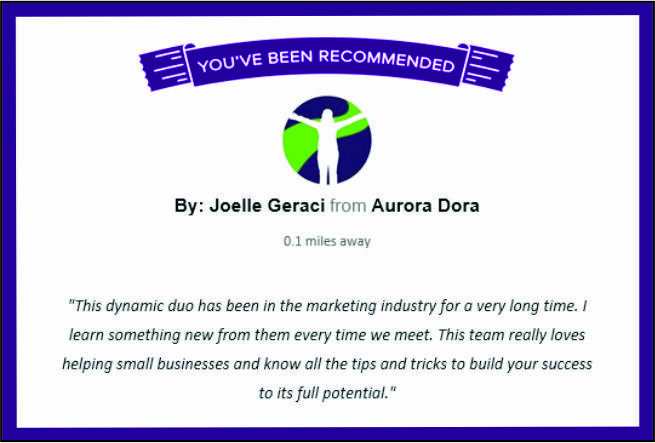 Sedona Marketing, now Yuloff Creative Marketing Solutions, was born from this same method of targeting ideal clients, specifically couples who run small businesses together. Sharyn and I have years of experience navigating the tricky shores of working with a life partner. It has not been without difficulties – having our married and professional lives intertwining – but it has given us a unique insight into our target demographic. It’s our passion to help these couples — one at a time – to jumpstart their messages and sales. The secondary demographic for Yuloff Creative is any small business in need of definite direction in order to develop, refine and focus their message to increase sales. For these businesses, we have created the similar 4-day weekend boot camp, but instead of working one-on-one with one couple at a time, we put together small groups with demographically similar targets that we work with in a Mastermind setting. If, after reading both of our bios and watching at least one of our videos, we sound like people you might want to work with, please schedule a time for us to chat. We are so looking forward to working with you to help you grow your business!